To improve the indoor air quality, cleanliness of the home, and energy efficiency, getting the air ducts cleaned professionally is something many homeowners are taking advantage of. There are still plenty who have their questions concerning the air duct cleaning however, and we at Sterling Environmental Air Duct Cleaning would like to take the opportunity to answer a handful of the most common of the most frequently asked questions regarding air duct cleaning. Q. Is mold in air vents harmful? A. Mold spores to thrive with consistent temperatures, a food service (dust is a major source), and moisture. 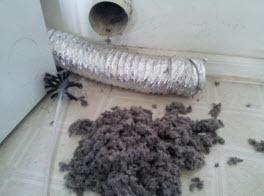 Plenty of filth that the mold feeds off of accumulates in the air ducts. If the spores have made it in the ducts, the optimal location will in fact promote mold growth. The mold spores however, usually got inside the ducts from another source. It is crucial you invest in an air duct cleaning to ensure the problem is efficiently taken care of, should you suspect mold, or recently had any water damage. Q. Is dust the only thing that collects in air ducts? A. Dictated what is in the air ducts factors the environment, climate conditions and additional circumstances, but dust is not the only thing in your ducts. Dust, dust mites, dirt, pollens, pet dander, dead skin cells, shed hair, smoking habit residues, mold spores, chemical residues, carpet fibers, lint, construction debris, fire place soot, moisture, along with any remnants that derive from construction-like projects are all likely accumulating in your air ducts. Q. Does air duct cleaning improve health? A. 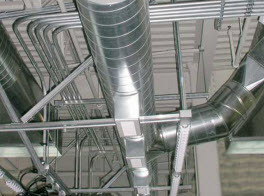 Your HVAC, or the heating, ventilation, and air conditioning system, is all connected by a line of tubing that filters the heated or cooled air, these are the air ducts. the outside air is brought in to be treated and dispersed in addition to the treated air that gets distributed through these shafts. To reduce the agitating substance that trigger allergies and asthma attacks, such as pollutants, allergens, contaminates, and even pathogens a duct cleaning can benefit your health. Q. Does air duct cleaning reduce HVAC power costs? A. There is no additional strain put on the units when you get the air ducts cleaned routinely. In fact, the clean air ducts contribute to the HVAC system’s longevity and overall condition, which helps it operating at its full potential according to the research by the U.S. EPA. Q. How often should air ducts be cleaned? A. A minimum of once every 5 years is recommended by experts that your air ducts get cleaned by a trained professional. However, it is encouraged you get it done every 3 years, more than on of determining factors listed below apply to you. –	Your home or HVAC system was affected by water, smoke, or fire damage, as well as mildew or mold contamination. –	Severe respiratory problems, especially people with those that frequently have asthma attacks. –	Indoor pets that shed frequent hair/fur and dander. –	Prior to moving into a new home. 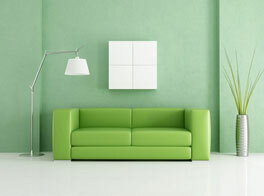 –	Following any kind of home construction projects such as remodeling, renovations, add-ons, etc. 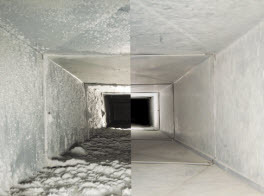 When you need your air ducts cleaned, call Sterling Environmental Air Duct Cleaning today and let our experienced experts take care of the rest.